During Stirring Sicily, we were fortunate to have had a cake-making demonstration with nonna, the grandmother-in-residence at the agriturismo, Case di Latomie, at which we stayed. 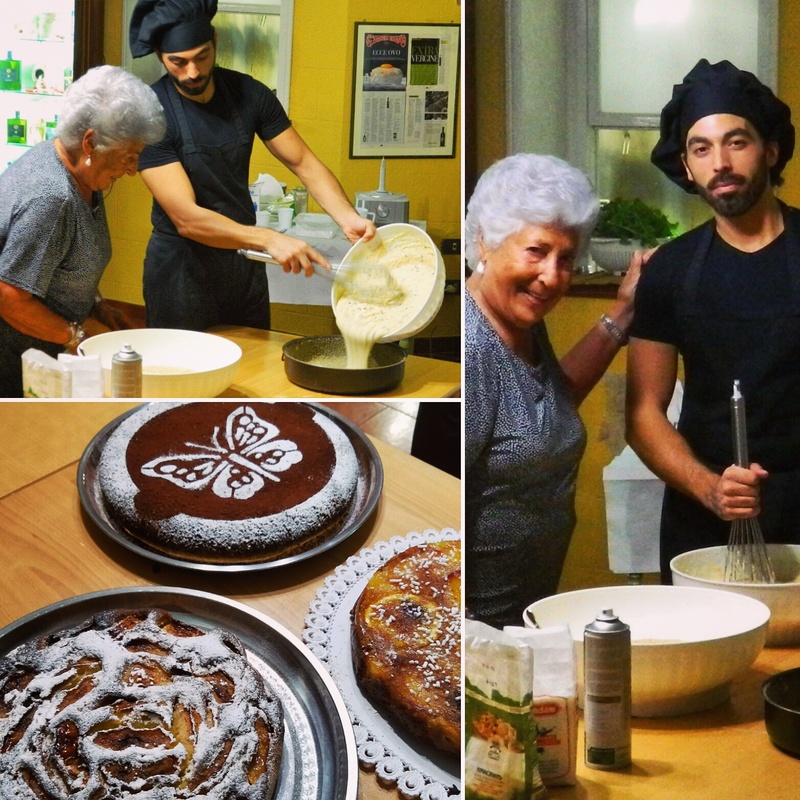 Here, the head chef, Francesco Gallo, assists grandma with the preparation of her breakfast cakes that were moist and sweet and beautiful to behold. Needless to say, we all suspended our diets for the week in Castelvetrano!